The average Wall Street bonus in 2017 was three times what most U.S. households make all year, according to data released by the New York state comptroller on Monday. Wall Street bonuses increased 17 percent last year compared to the previous year, hitting an average of $184,220 -- the highest average payout since before the financial crisis. Experts say bigger bonuses for bankers reflect a revival on Wall Street as the Trump administration begins dialing back federal efforts to rein in pay by the Securities and Exchange Commission and other agencies. Bank stocks rebounded last year under the prospect of rising interest rates, faster growth, and deregulation. 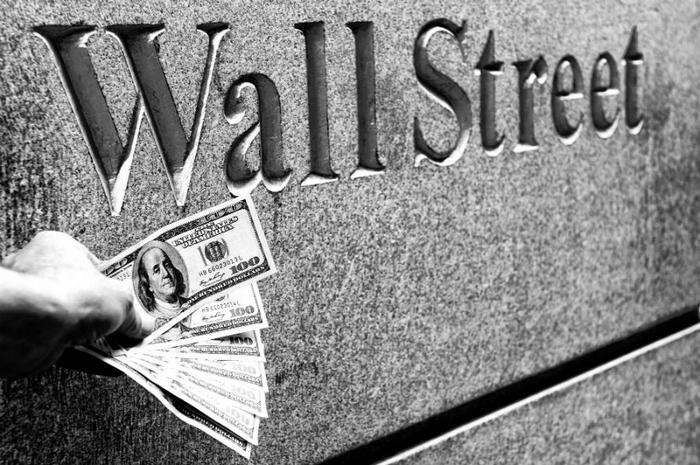 Last year, Wall Street bankers raked in a total of $31.7 billion in bonuses. The latest figures highlight just how much more Wall Street executives earn compared to the rest of the private sector. The comptroller's annual report said the average salary, including bonuses, in New York City’s securities industry was $375,200 in 2016. That's five times as high as the rest of the private sector, with an average of $74,800. “The large increase in profitability over the past two years demonstrates that the industry can prosper with the regulations and consumer protections adopted after the financial crisis,” said Thomas P. DiNapoli, the New York comptroller. About 25 percent of the industry’s employees earned more than $250,000 compared with 2 percent in the rest of the city’s workforce, the report said. The median U.S. household income reached $59,039 in 2016, according to data from the Census Bureau. Tax law changes likely helped drive bigger bonuses in 2017, the annual report noted. Changes to the tax code passed last year encouraged some banks to move up payments to December 2017. Lowering the corporate tax rate to 21 percent is expected to pay off biggest for banks.